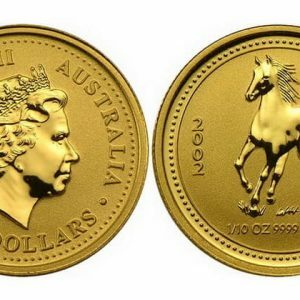 What Mint produced the coins? Gold and silver coins of Peru began to be minted in the XVIth century. As long as research by archaeologists shows, small copper axles, shells and coca leaves served as money. Today, only the national currency of sol is in circulation in Peru. 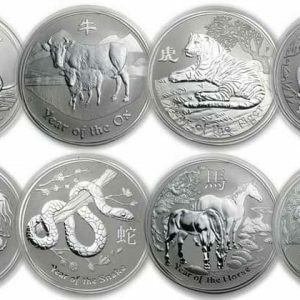 Gold and silver coins are produced only for collective and commemorative purpose. 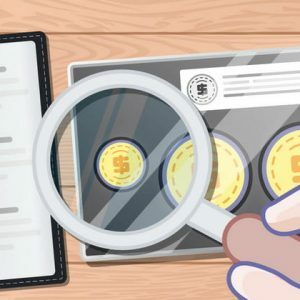 Their cost is much higher than their nominal value, so they can serve as a means for investment. The first coins, distributed in Peru, were brought by the Spanish conquerors in 1532. 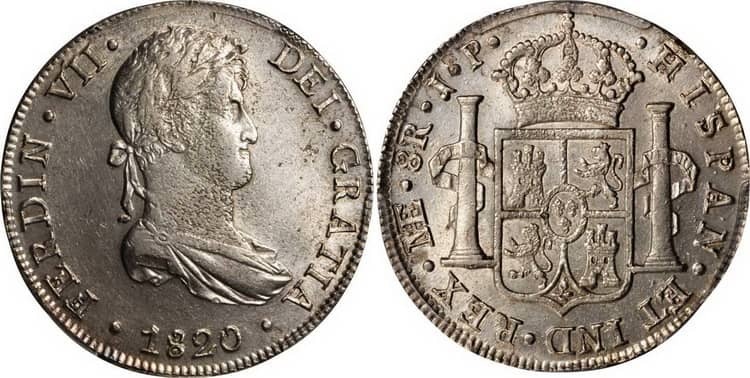 In 1565, 30 years after the foundation of Lima, King Philip II ordered the creation of the “Lima Mint” (Mint), which began to function three years later. The creation of the Mint responded to the growing pace of silver mining, which was the main raw material for coins minting. 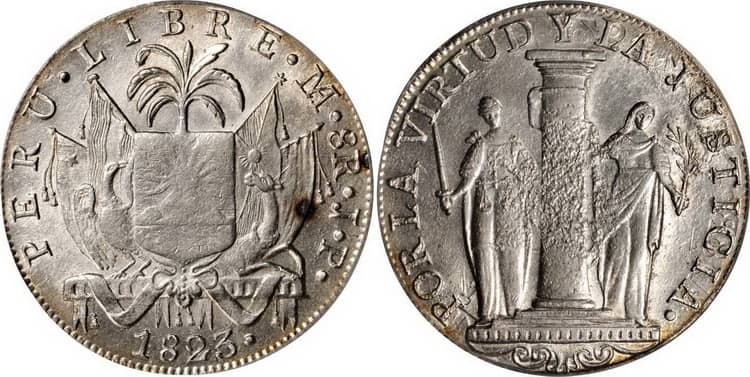 That is why, until the middle of the XVIII century, this Mint produced only silver coins and after 1821, when Peru gained independence, they began to mint their national currency. The silver coin of 50 soles denomination of 1971 on the obverse depicts Tupac Amaru, who was the last ruler of the Inca people in Peru,. Jorge Chavez, also known as Geo Chavez, was a Peruvian pilot. Even at a young age, he achieved fame for his aviation exploits, and he died in 1910 after a strong wind broke the wings of his fragile airplane Blerio XI. The plane felt from a height of twenty meters when landing after the first time flew over the Alps. He is depicted on a silver coin 200 soles of 1975 coinage. 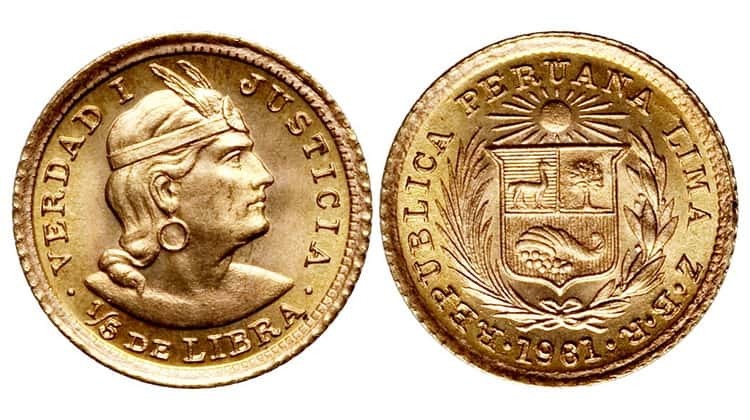 Golden Peruvian libra minted from 1898 to 1931 were represented by denominations: 1/2 Peruvian libra, 1/5 Peruvian libra and 1 Peruvian libra. 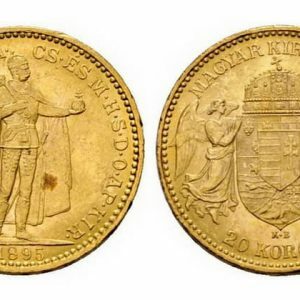 These coins were in circulation simultaneously with silver soles. 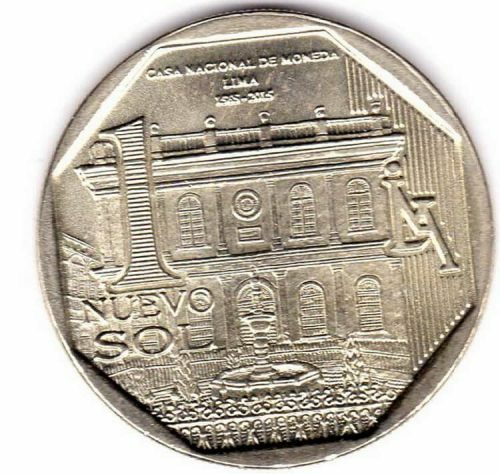 The silver coin of 1 sol of 2001 depicts the Main National University in Lima “San Marcos”, which is the oldest in America. It was founded by the Spanish king Carlos I in 1551. The name was given by the name of St. Mark, who was the patron of the monastic school of the Dominican Order, on the basis of which they founded the university. Silver coin of 1 new sol denomination of 1990 depicts the portrait of José Carlos Mariatega, who is known as a writer, literary critic, essayist, journalist, historian, philosopher and member of the labor movement in Peru. 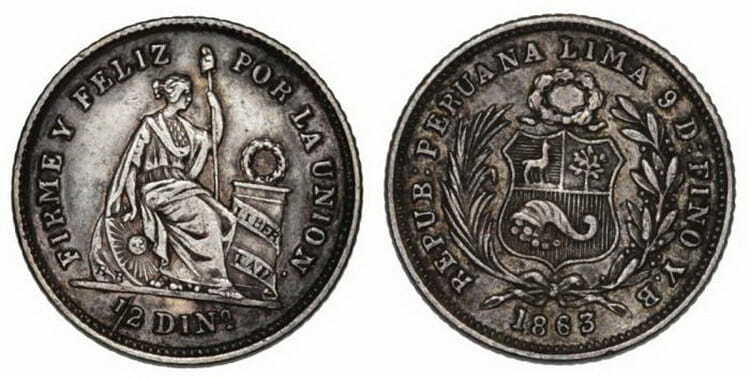 New coin of 1 sol denomination (1997) depicts Ramon Castilla, who was the famous Marshal of Peru, a statesman, and also served as president of Peru three times from 1845 to 1863. Mariano Melgar (1791-1815) was a Peruvian patriot, poet, artist, and fighter for the cause of independence from Spain. Melgar also became one of Peru’s most prominent romantic poets in the entire history of the nineteenth century, thanks to the most famous of his poetic love songs, known as harawi. Should you buy coins in slabs?